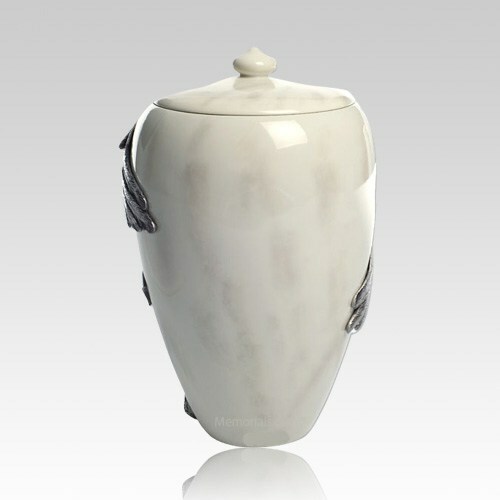 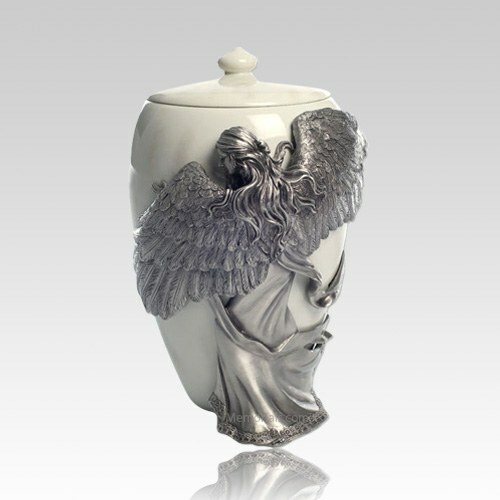 The Embrace Angel Medium Cremation Urn is beautifully crafted. 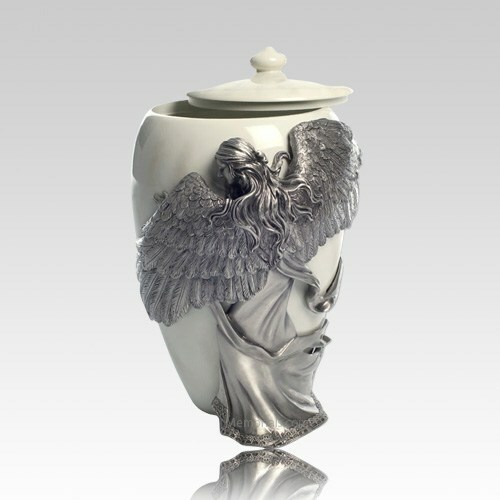 A Pewter Angel touches the heart and soothes the soul. 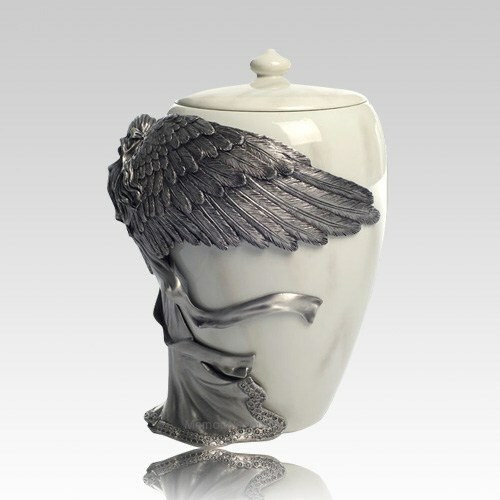 The Angel is hand finished pewter and the urn is marble finished polystone.